Have you ever had that feeling that you’re stuck inside a phone booth in Bordeaux at 11pm with only a beer for company? I think I may be one of the few – it was an interesting way to finish an otherwise very enjoyable few days travelling around the south-west of France. 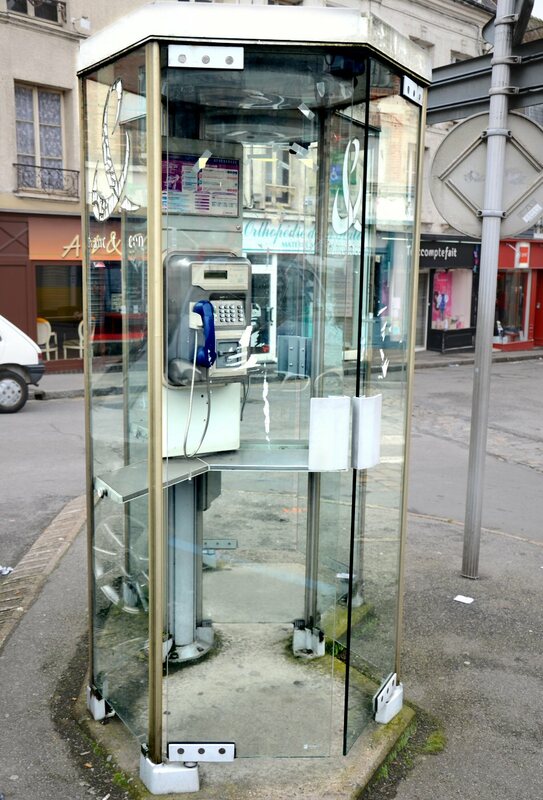 The phone booth was just across the road from the house where I was staying, but with no more money, and with cellphones still years away from existing, I was hoping that someone might come out and check on me – no such luck. I started by pushing the door quite forcefully, which in turn became a bash, and then finally a series of shoulder-charges with a very short run-up. After about thirty minutes of this, and with great relief that this was my first beer, I tried opening the door as if none of this had ever happened. Unbelievably it slid open, possibly with a mocking creak. Dealing with situations like this are an essential part of travel. For example, when the teenage brothers and sisters in your host family teach you some french slang, and you later find that you’ve accidentally offered their grandmother sexual favours. That wasn’t ideal. 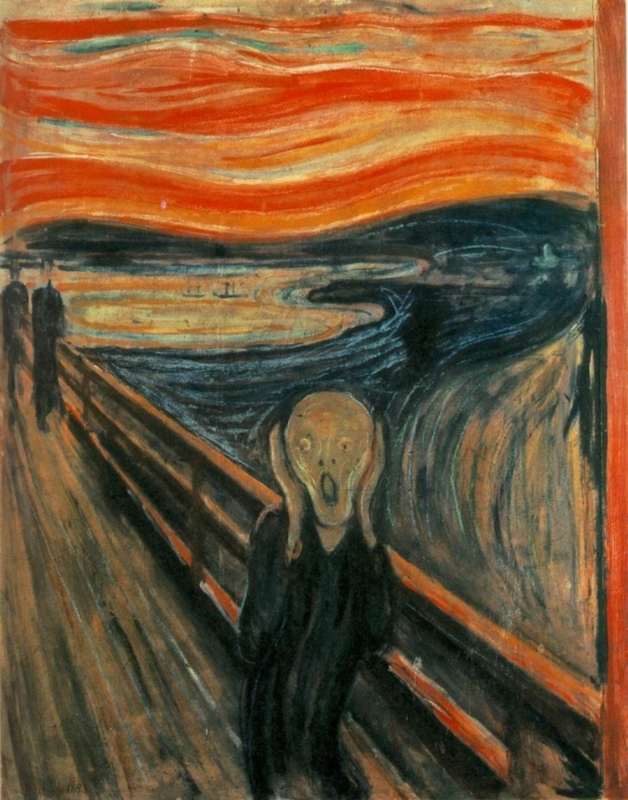 Or when you’ve booked a ticket to Germany in late November 1989 days after the Berlin Wall has fallen, only to miss your train and end up in Austria. When asked about my trip, my french mum asked what I had seen. I meant to reply “lots of Austria”, but it came out with the very similar (in French) “lots of ostriches”. More laughter. With those events from the past week behind me, it’s December 6, 1989 and I’m leaving Bordeaux for two days on the Côte Vermeille, or Vermillion Coast. I assuming it’s named this because the Azur coast is already taken. I need to change trains in Narbonne, and I read about its Roman past when it was a thriving port. There’s also the Cathédrale St-Just, one of the tallest Gothic cathedrals in France, and the Archbishop’s Palace – both from the 13th century. 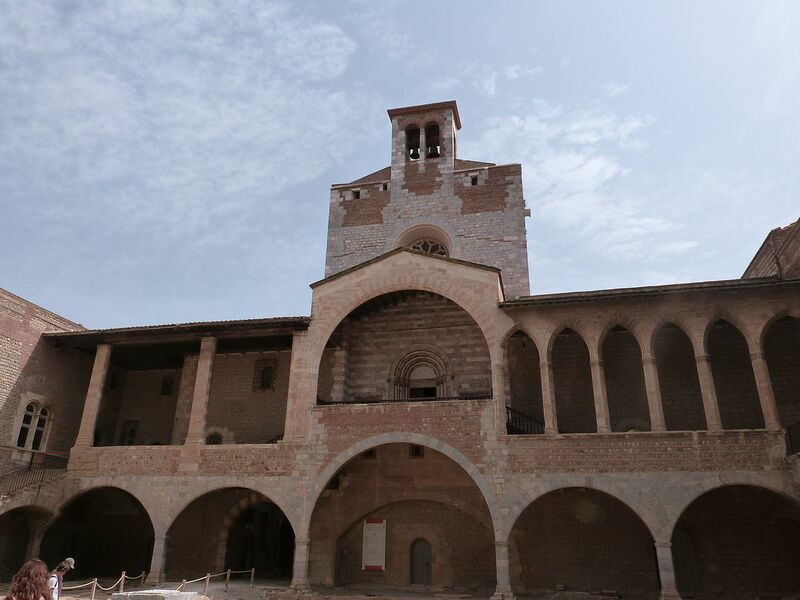 There are several museums that sound interesting, but I won’t have time for those if I’m going to make my connection to Perpignan. I decide to check out the Horreum, a Roman structure dating from the end of the first century BC. After recovering from a few misguided shortcuts, I finally find it – shut. Shutting tourist attractions from midday to 2pm may seem a strange rule to visitors, but why let foreigners ruin a perfectly good lunch hour, or two? I arrive back at the station having seen my sole attraction in Narbonne – the remains of a Roman well. It looked suspiciously like a hole in the ground – but at least it was a Roman hole. The train ride from Narbonne took less than an hour, but provided one surprise. A massive stand of Flamingos – yes, “stand”. I find it hard to imagine anyone leaping up and announcing “look at that stand!”, but here’s the proof. Apparently these migrate away for winter, but they’re still here in early December. It looks like there are thousands of them – a very impressive sight. But I can see where this is headed. The french for Flamingo is Flamant. The french for Flemish is Flamand. It’s the ostriches all over again. 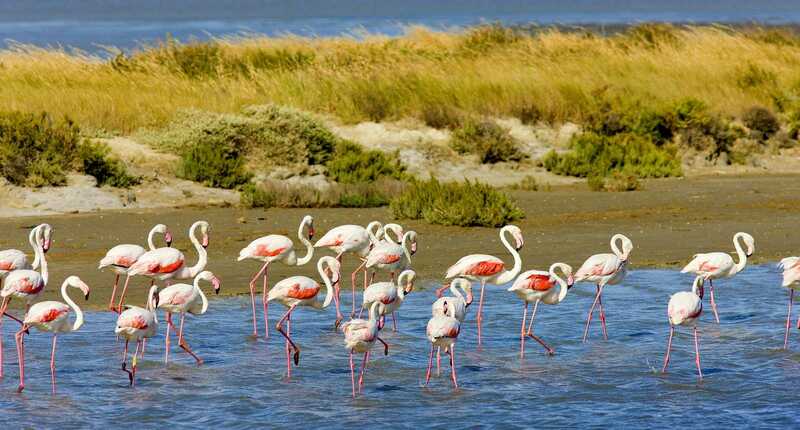 I’m sure that tomorrow night I’ll be enthusing to my family about seeing thousands of pink Belgians wading in the Etang de Leucate. I decide not to mention it. I arrive in Perpignan, find a Hotel handy to the station, and track down the Tourist Office before it closes on me too. I’m now equipped with brochures on Banyuls-sur-Mer, and the planned highlight of the trip – Collioure. 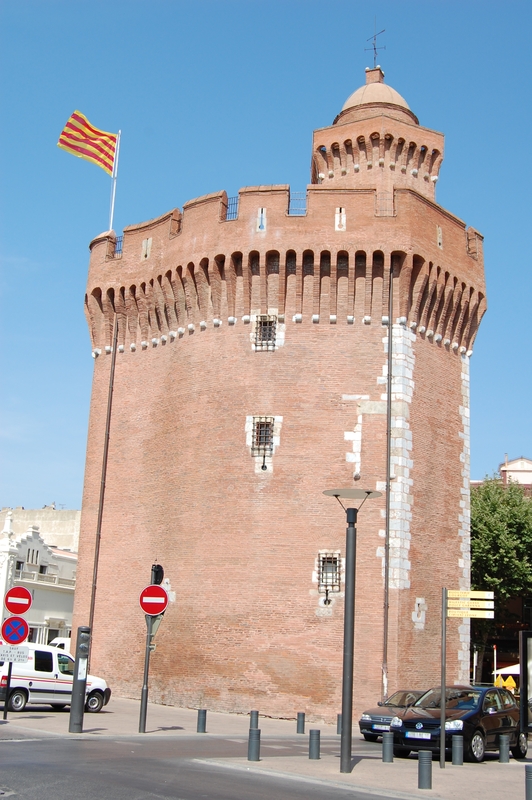 December 7 – I decide to see something of Perpignan before heading down the coast. My only previous association with Perpignan had been with a French rugby league referee who had officiated a test series played by New Zealand a few years earlier. He was referred to in the papers as the Perpignan postman, but his real name was Julien Rascaniere. Somehow our teacher had arranged for him to visit our school, and I was given the task of interviewing him, in french. I liked him, but after we lost the tests, the New Zealand public weren’t so keen. So with the possibility of running into Monsieur Rascaniere delivering the mail, I start my trail around Perpignan. First on my list is the Palace of the Kings of Majorca – how can I miss something with a name like that? In 1276, King James II of Majorca made Perpignan the capital of the Kingdom of Majorca. This kingdom lasted from 1231 to 1715 and included the Balearic Islands and a range of small but strategically important territories on the mainland. The palace is Gothic with a large courtyard, arcades and a throne room with large fireplaces – all essential ingredients for a thirteenth century palace. Next up is the Castillet – a crenellated gateway / fortress of red brick now housing a museum. It’s a shame my time in Perpignan is so brief – I’m quite liking it here. I bet they make great chocolate croissants too. 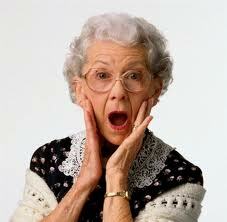 I know I will need to report back to my French mum on both Banyuls-sur-Mer and Collioure. She raved about them and was insistent I spend as much time as possible there, so I need to find my next train and head south. Banyuls is the furthest south of the two, and I decide to head there first, and catch Collioure when heading back north. 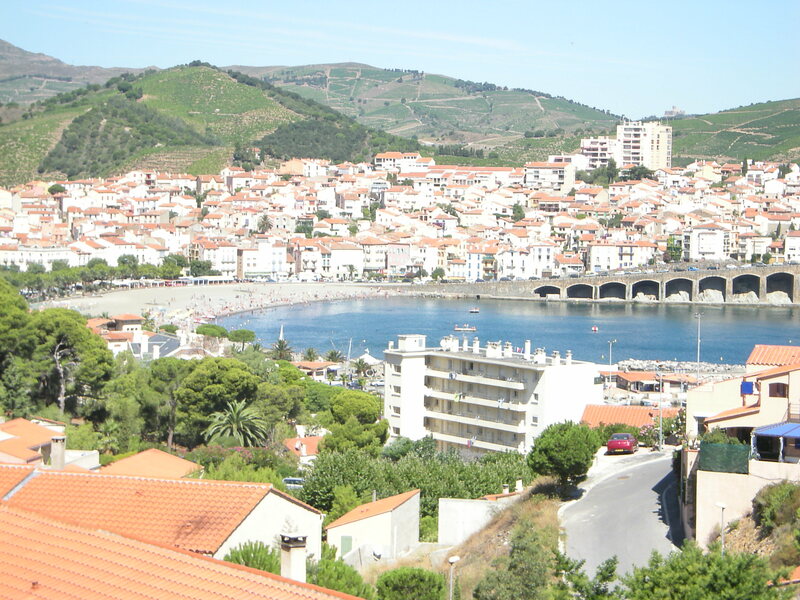 Banyuls is…..pleasant. The area is known for its wine, but that’s out of town. There doesn’t seem to be anything historic in Banyuls; the main attraction is an aquarium – not that there’s anything wrong with that. I’m just not seeing Banyuls at its best. The day is overcast, and it’s not quite warm enough to spend too much time outside. It’s a summer resort, and this is what happens to resorts between seasons. While I sit by the platform in the empty station at Banyuls, I wonder what I’m going to tell my french Mum about my Banyuls experience. I try to think of words that will make this place sound interesting, without sounding completely insincere, or making it sound like I went to a different coast in a different country. It wasn’t a bad experience, but she loves this place; this won’t be easy. It’s at this point that I think about the layout of these small stations, and how there are no underpasses here. If the train arrives and you’re on the wrong side, there’s no way of getting to the other side without running around the end of the train. There aren’t too many trains between these smaller stations, especially at this time of year. But who would be that careless? I hear a train coming, but it’s for the other direction. Interestingly, it arrives at exactly the same time as the north-bound train that I’m expecting. It soon leaves, and I check my schedule again. I realise that I can’t see the coast from the platform; surely I’m waiting on the right side? Oh no. No no no no no no no. So what are my options here? 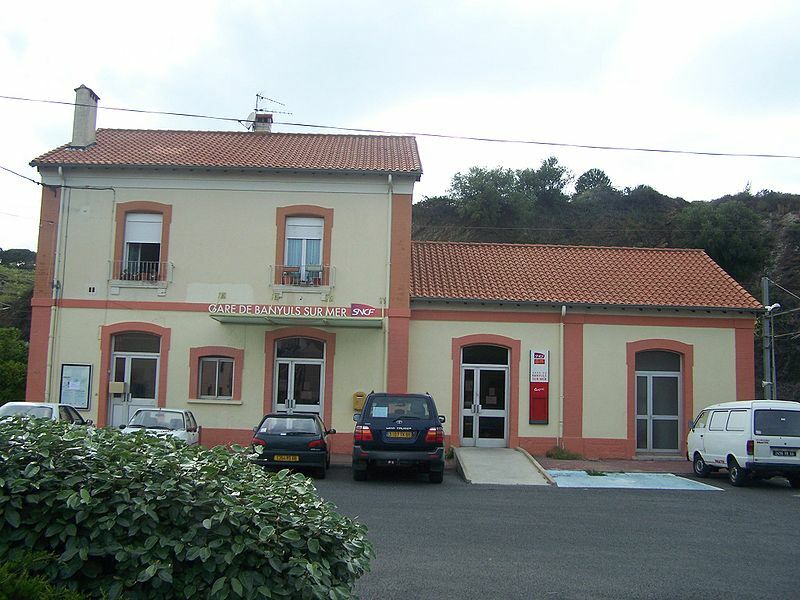 Stay in Banyuls and catch the next train north? I don’t think I’m going to see anything here that I haven’t already seen. There’s a train heading south to Cerbère soon, which arrives with plenty of time to spare before the next train heads north again, from Cerbère, through Banyuls, part Collioure, to ridicule. 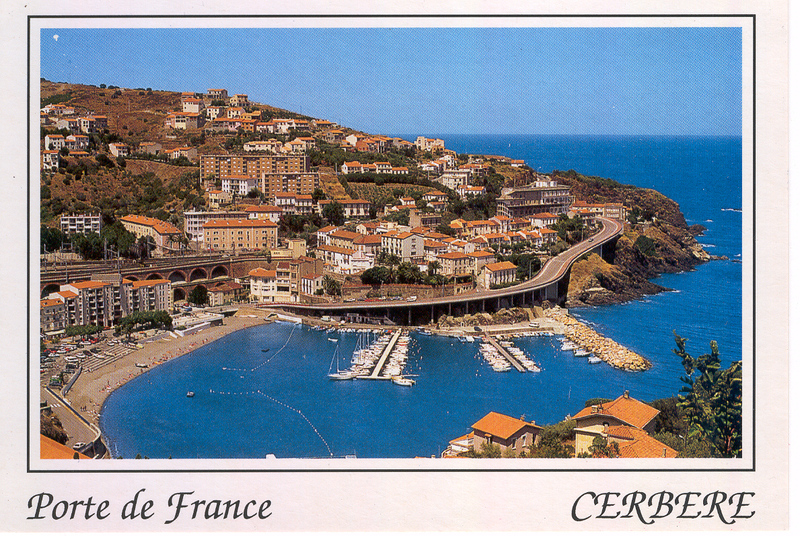 I don’t know anything about Cerbère; I just know that it’s not Banyuls. It hasn’t even warranted a mention in my guide book. It is simply a name at the end of a train timetable – in Bold. Cerbère. The end of the line. The end of France. I had my 21st birthday just before starting this trip, and several friends gave me guidebooks on France. Sadly only one made the journey, not the one that gave Cerbère a mention. Here’s the listing in full. Cerbère (pop 1700): small fishing port, on the frontier. I would have to agree. According to Tripadvisor, there are three things to do in Cerbère: two of them are snorkeling and fishing. The third is an art deco building that actually looks very interesting. I wish I’d known about that in 1989. The Belvédère du Rayon Vert hotel was built in the late 1920’s and but was abandoned during the Spanish civil war. It now houses a theatre and apartments – and it’s next to the railway line. How did I miss that? Back in 1989, I see the above-mentioned small fishing port, but without any fisherman. Cerbère is empty; every shop is closed. I don’t even see a sleeping dog. I assume all residents are in hibernation. Maybe they migrate with the flamingos, and will be coming back in Spring? After a period of aimless wandering, I conclude that the best use of my time is to take a photo of the hills that I think mark the border with Spain. I need to finish this roll of film, and a couple of photos will do it. I take two photos of the same hill, hoping to hear the whirr of film rewinding. Nothing. I take a third – still nothing. I pan along, with the plan of placing these photos next to each other in the album – not that that ever works. Finally, with the fourth photo of the same hill, my camera cooperates and the film rewinds. I later find that the frontier is out of sight, but at least I have four great photos of french hills. This is where Cerbère and I need to part company, and I start the long trip back to Bordeaux. Once again, I see Collioure from the train, but now almost in darkness. So, do I need to give my people another reason to laugh at me? My French mum is not going to be happy. This story will get mentioned over a few wines every night for the next few weeks, and every time she tells it, the story will be even worse. The truth is embarrassing enough. 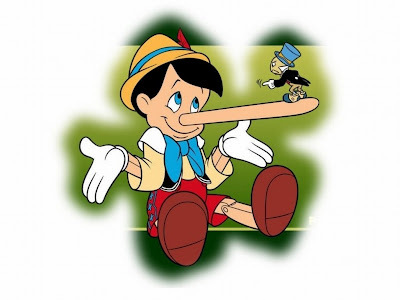 I decide that I should be honest – one day. One day we’ll have some wines and laugh, but today is not that day. This entry was posted in Travel and tagged Banyuls, bordeaux, Bruce Springsteen, Cerbere, Collioure, Flamingo, france, Munch, Narbonne, Perpignan, Pinocchio, train, travel. Bookmark the permalink. Funny story indeed. Feels like you was there yesterday. Ha! Mental note taken not to get that one wrong for the next Italian trip!